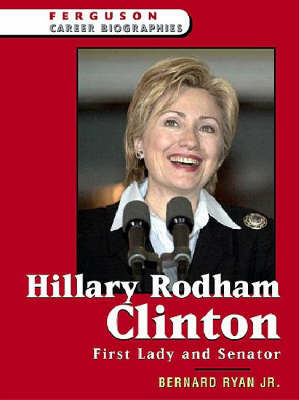 Hillary Rodham Clinton: First Lady and Senator takes a refreshing look at the career and accomplishments of this native of Chicago, Illinois. Hillary Rodham Clinton took an early interest in politics and social issues, becoming active in contemporary issues, working on the political campaigns of Nelson Rockefeller and Eugene McCarthy, and serving as president of her student government at Wellesley. Clinton later attended Yale Law School, where she met her husband and future president of the United States, Bill Clinton. Following a career in law, Hillary was first lady of Arkansas before becoming first lady of the United States. After the close of her husband's second term as president, she won a Senate seat in New York and continues her political career today.